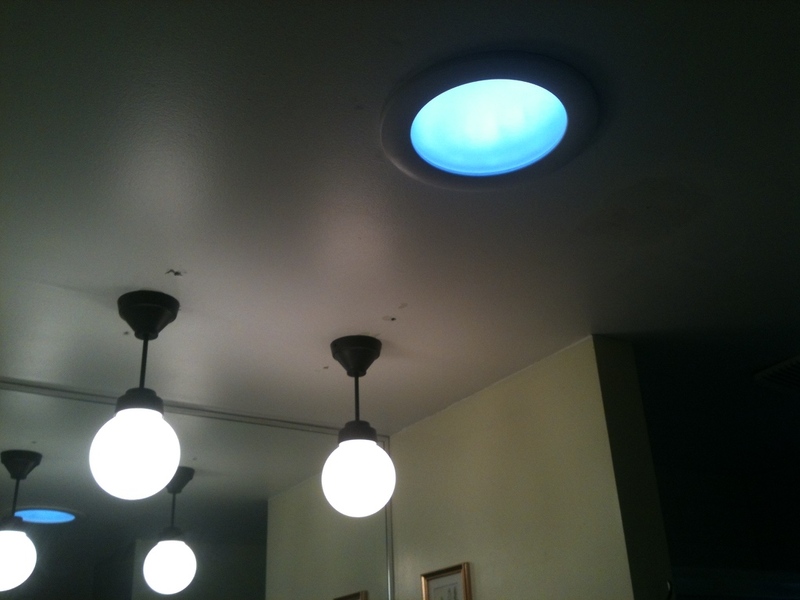 In November I blogged about changing the lighting in my home, removing recessed lighting from a place it shouldn’t have been (pot lights should not recess into an attic; it is an energy waste and a fire hazard), and moving it to where it was needed (downstairs). All of this was to prepare for something I’ve wanted to do for a long time: bring natural light indoors by installing a solar tunnel! 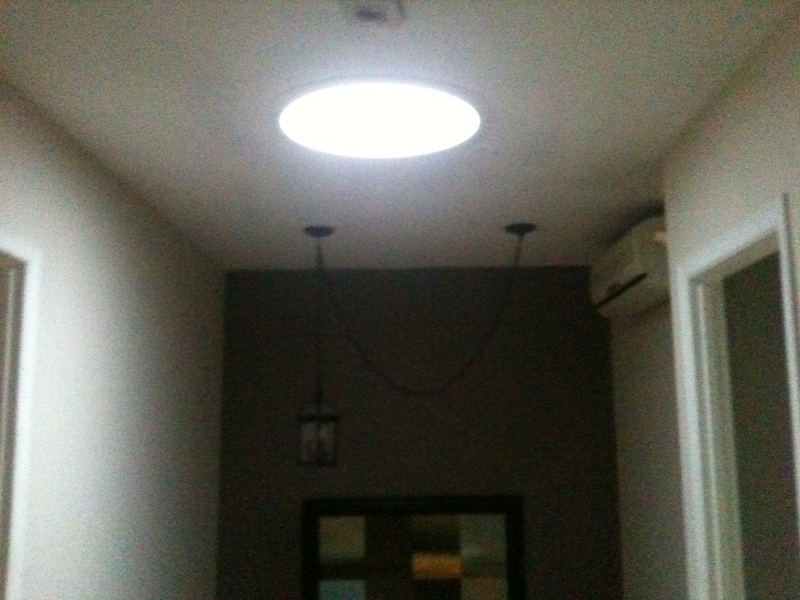 After getting our permit approval – which we needed, but did not have to send to “study” because it would not affect the appearance of the house from the street – I ordered the solar tunnels from Velux through my chosen installer. We were really lucky on the late December day when the installer could finally make it. The weather was unseasonably warm. 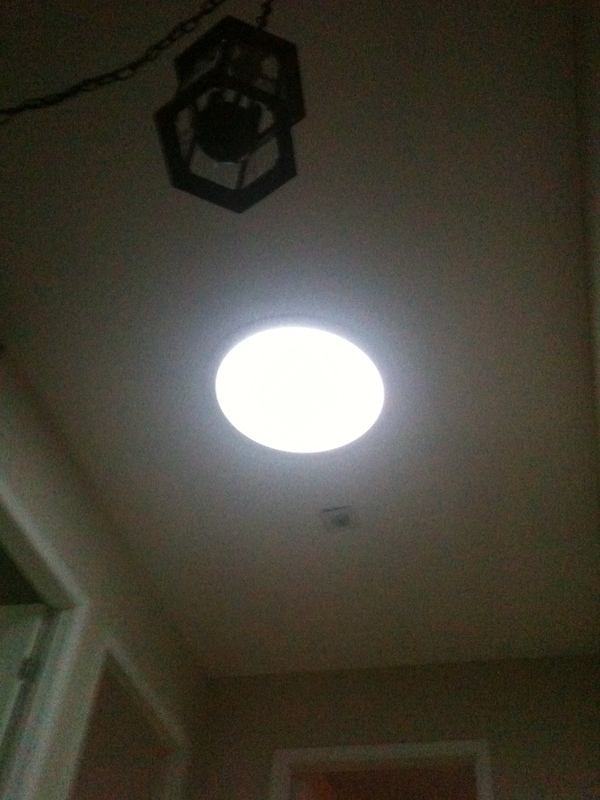 Installing a solar tunnel involves cutting a big hole in the roof and in the ceiling to install the lens and the diffuser, then the tunnels (since I was installing two), and then the light fixtures on the inside. I bought a light kit for each of them, so they would be connected to the light switch for use at night. I also bought the energy kit to make them eligible for the EcoRenov tax credit (now the RénoVert tax credit, good through 2019). This energy kit installs an extra thermal break so that cold is not conducted down into your living space. For the work, you need two skilled workers: one in your attic, one on your roof, fitting together the couplings that will seal the unit and keep water out. “Do not insert into totally enclosed luminaires!” But I did, because the volume of this enclosure is quite large and generally cool. 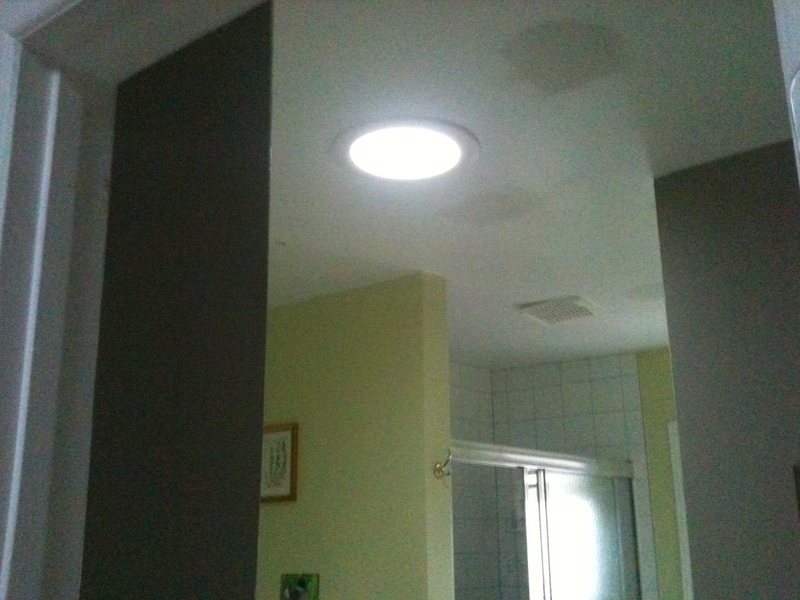 Next step: the electrician comes back, removes this last recessed light, and connects the lighting kit so that the lightbulb inside the solar tunnel is connected to the switch. With the lighting on at night. 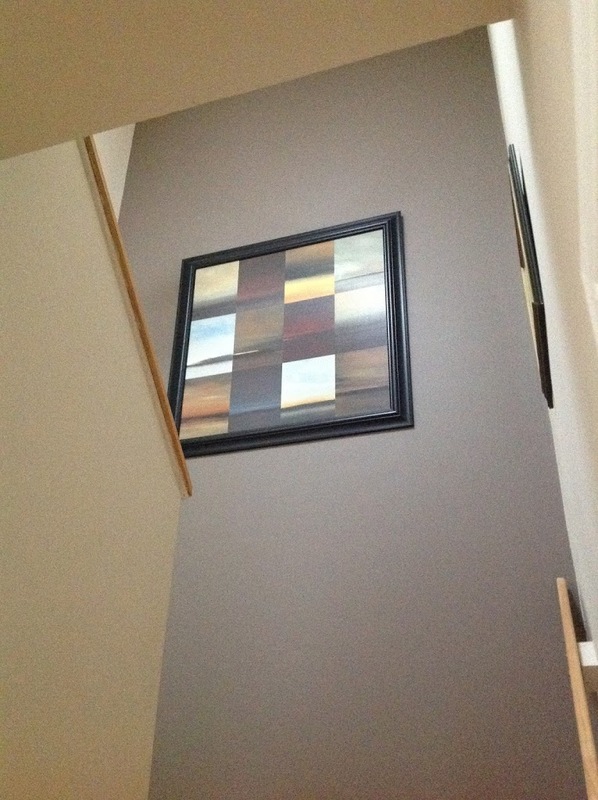 Finally, a picture of the central stair column of my house by day, with all the bedroom doors closed, a condition by which the upstairs was rendered very dark and dim before this project was finally done.